Reveille at Sandoval Lake Lodge in the Tambopata National Reserve in Peru was very early with a pre-dawn wake-up call at 5:30 a.m. Bob and I were told that the early start to the day enables guests to get out on the lake, observe the sunrise, soak up the solitude of the early-morning hours and hopefully spot some wildlife, most notably the Giant Otters. Even before having breakfast, Bob and I boarded a catamaran that was powered by paddle and headed out on the lake for a tour. The objective of our morning’s cruise around the lake was also to spot birds and other animals that were stirring into action as the day broke. We were not disappointed! 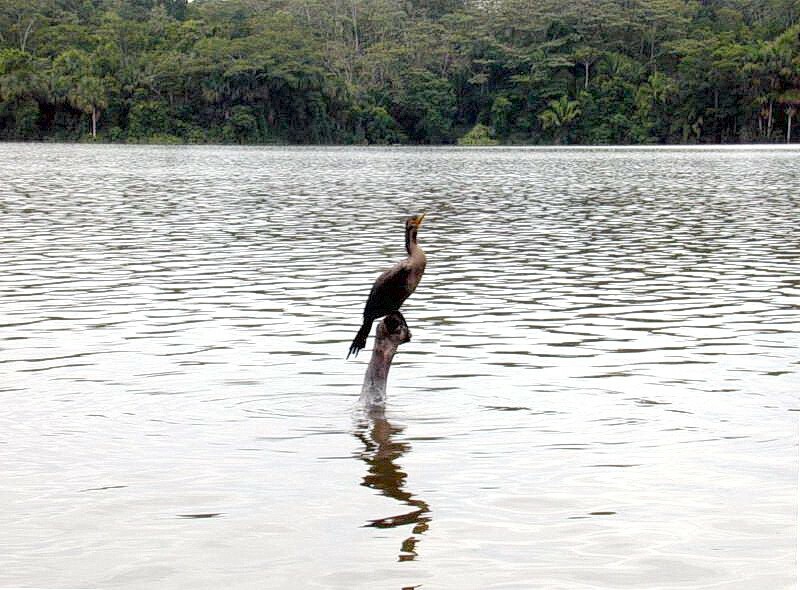 Bob soon pointed out an Anhinga perched on a stick protruding from the lake. 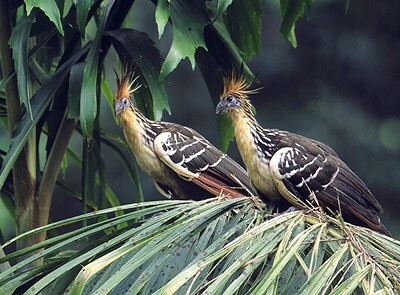 Further along the shoreline, a number of colorful Hoatzin birds were actively feeding in trees at the water’s edge. 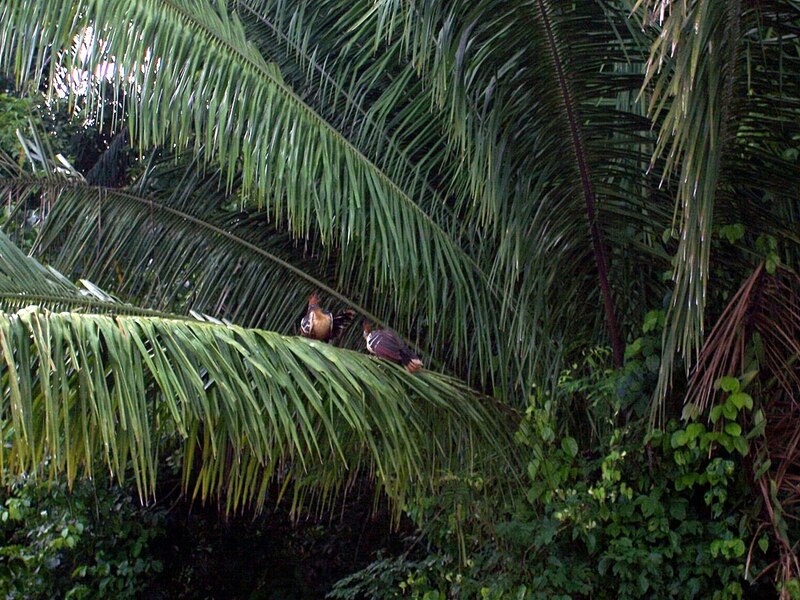 These pheasant-sized birds prefer riparian forests, swamps and mangroves where they loaf in the trees at water’s edge. With their brownish plumage, unfeathered blue faces and spiky crests, these birds are very distinct in their appearance. As we watched, they nipped off leaves from the surrounding vegetation. 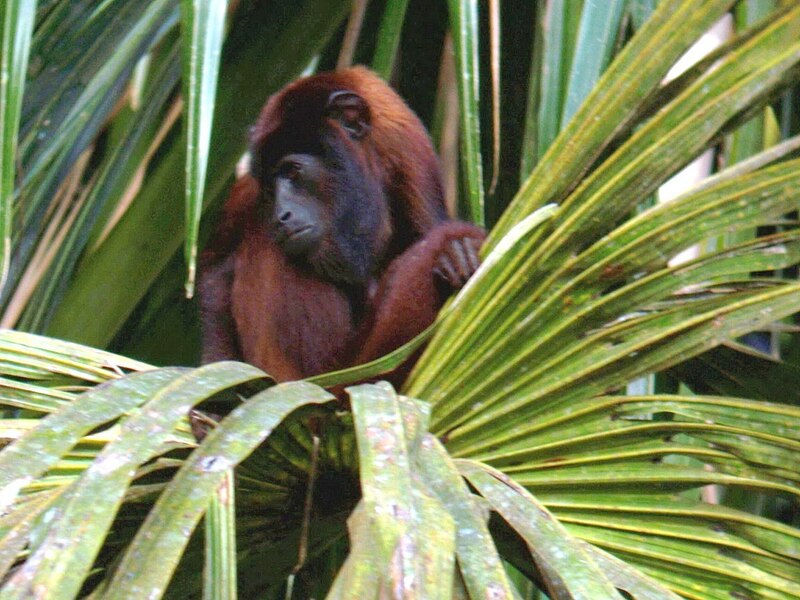 The next creatures capturing our interest were a family of Red Howler Monkeys. 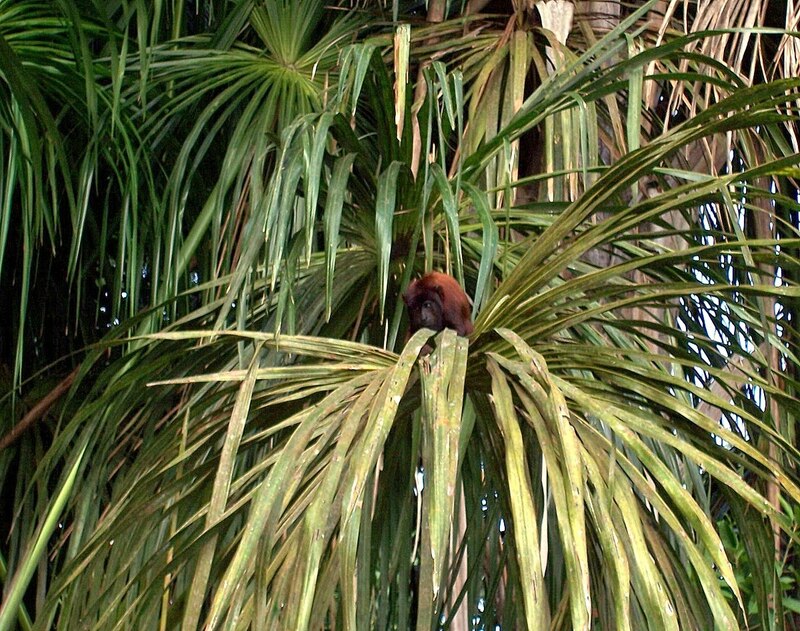 It wasn’t hard to find them because they made such a loud whoop and howl, plus their red pelage stood out against the green palm leaves even though often it was just an animal’s head showing at the top of a tree. These monkeys are considered the least threatened species in the Amazon. With the shoreline alive with the sounds of birds and animals, our anticipation was high. It was recommended to wear a long-sleeved shirt and long pants, but there were no mosquitoes to speak of despite the rainy season during which we traveled. Bob and I enjoyed mostly sunny, hot weather and were astonished at the lack of mosquitoes, much to our relief. The symphony of sounds emanating from the jungle surrounded us as we glided along silently in our canoe. 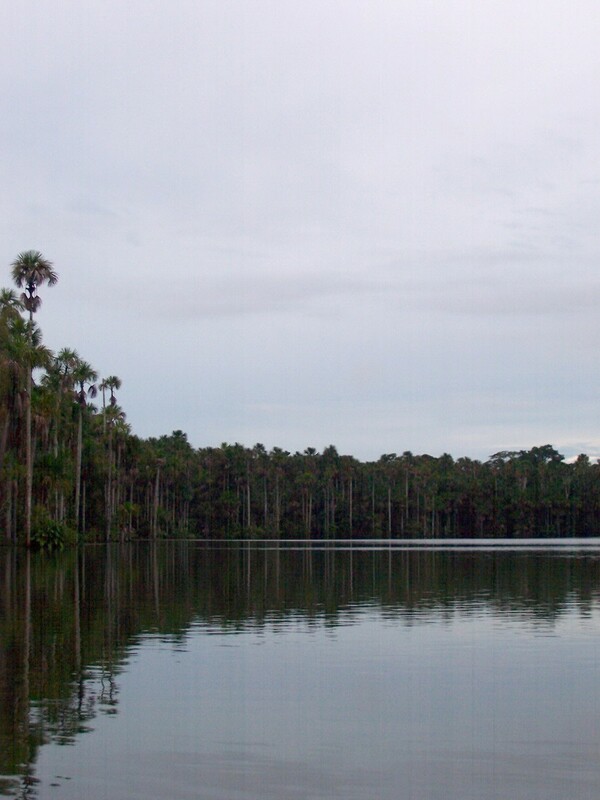 To protect the Giant Otters from being bothered by prying eyes, canoes are not allowed to paddle into the protected zones at either end of the lake. In order to see a Giant Otter, our canoeist paddled to the edge of the protected zone and waited to see if any otters would surface. We waited patiently and finally were rewarded when some of the Giant Otters came close to check us out. The otters did not dwell in our vicinity for long but retreated a safe distance and cavorted with their young at the edge of the lake. 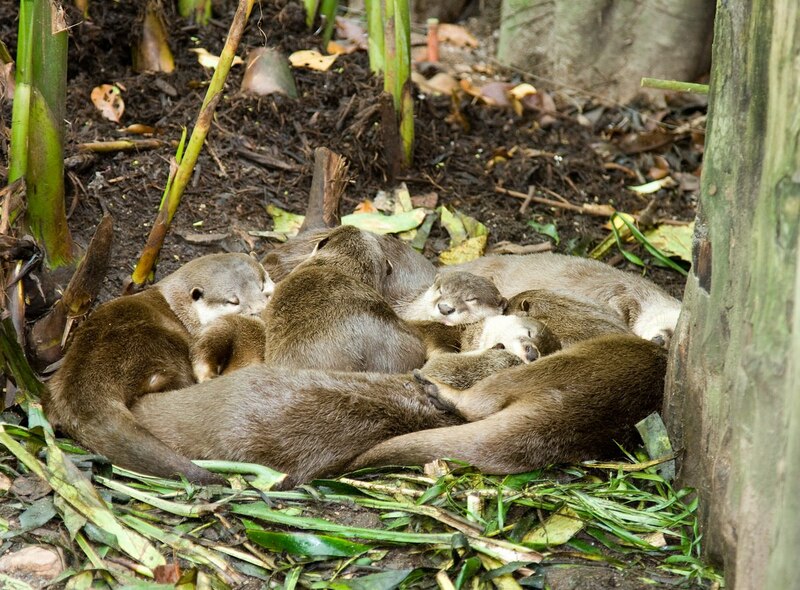 When not swimming or feeding in the lake, Giant Otters stick together in a family cluster and sleep away the day. It was absolutely breathtaking to see the tangle of giant leaves that dipped to the water’s surface all along the lake’s edge. 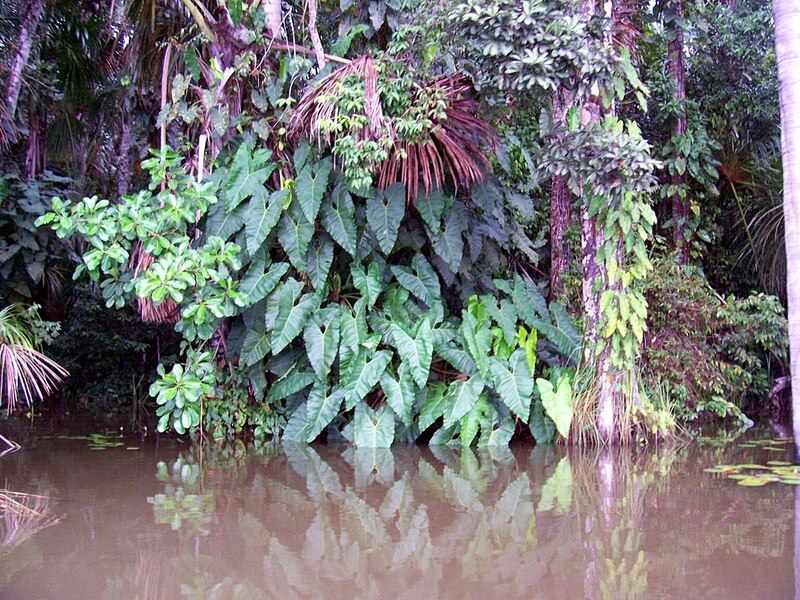 Mystery pervades the jungle with its dense vegetation and the haunting sounds of birds and animals. 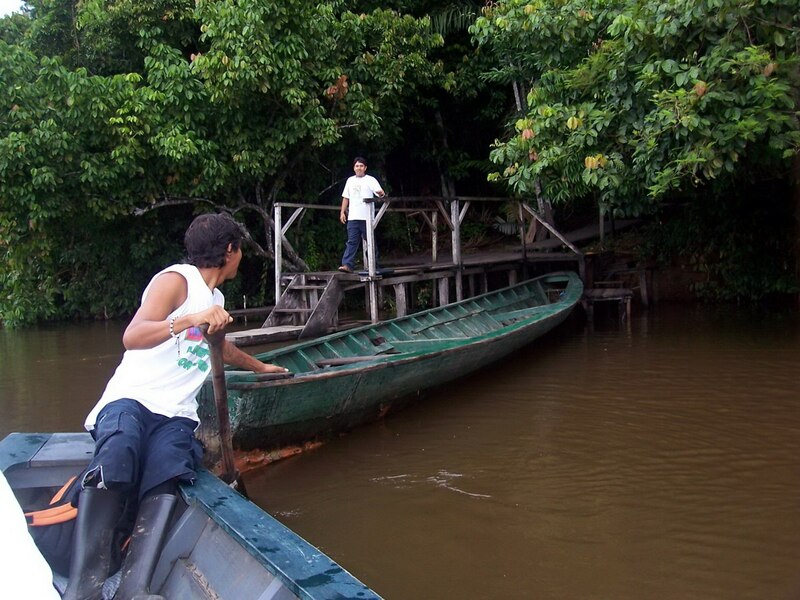 The atmosphere encapsulated everything that I expected of the Amazon. After spending a couple of hours quietly paddling around the shoreline, it was time to return to Sandoval Lake Lodge for breakfast. When we approached the dock, a couple of staff members were getting ready to depart for supplies and to pick up a new group of guests. Sonja, Bob and I hastily disembarked from our own craft and headed to the dining room to see what delicacies the chef had prepared for us today. Giant otters or saro eat their dried feces. They get important microbes out of it. Gorillas will do the same thing. Would you like to go through your cat box, and do the same thing? There could be important microbes in it. It is not known if these microbes are responsible for the otter’s immense size, for they get up to 8 feet long, and they dwarf sea otters. But sea otters do not eat their dried feces, abalone is better. 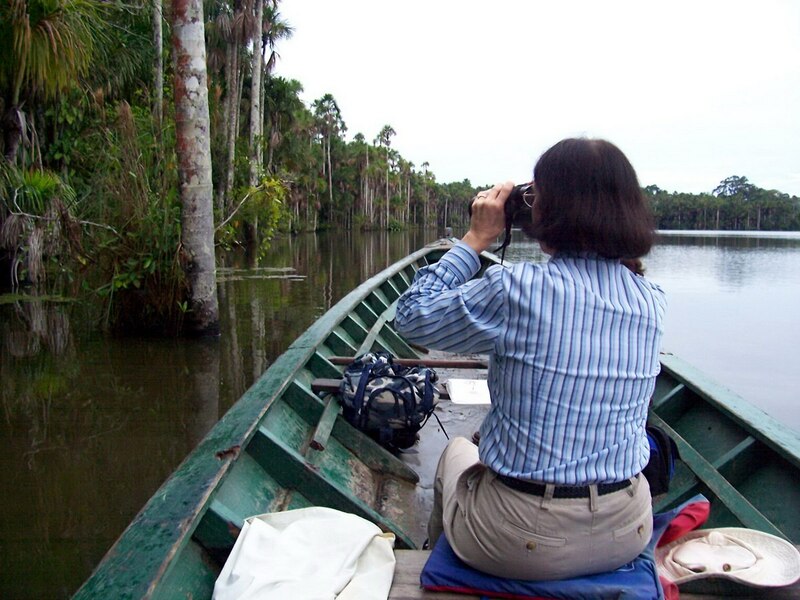 I loved your pictures of the Peruvian Amazon and the narration provided enough information for someone to feel as if you were in the jungle yourself. 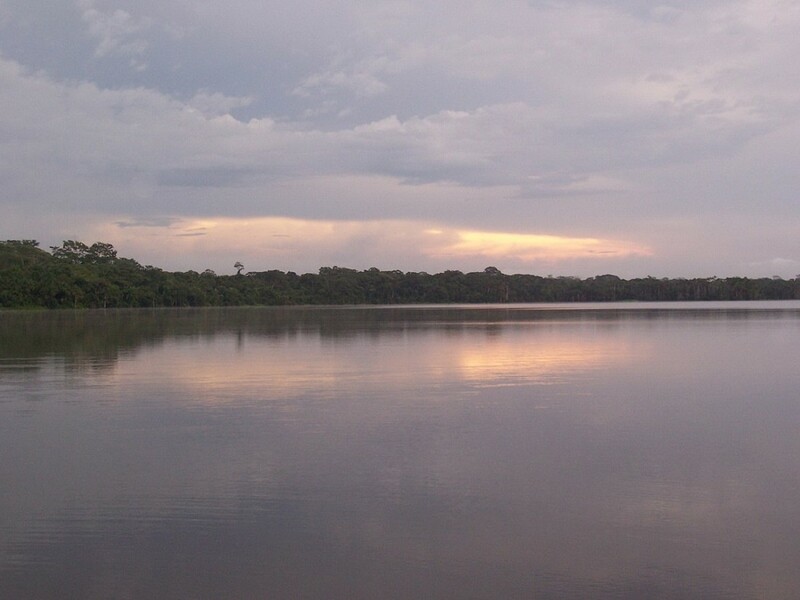 As someone that has been to Tambopata before, I now more than ever want to go back. There was a lot of information in that blog post, but it represented only what I could remember of all that plants of which Sonja spoke. 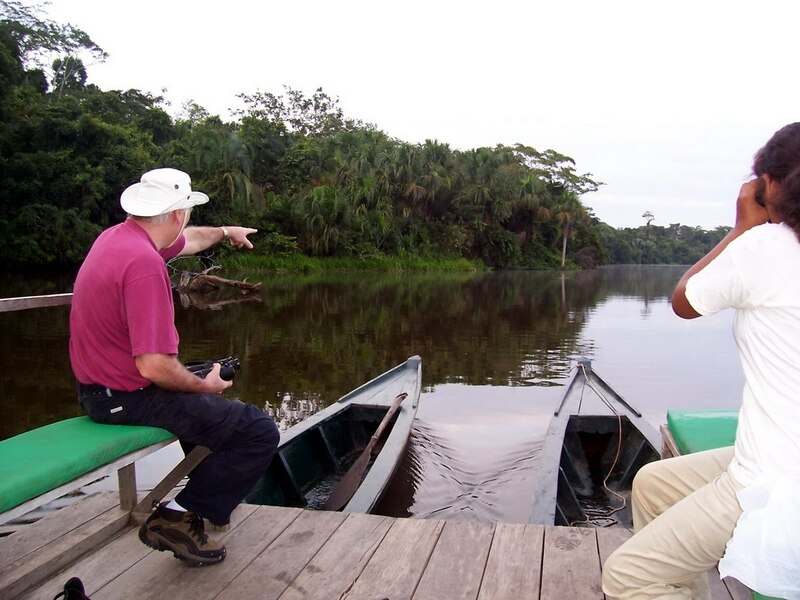 The Amazon Jungle is a wealth of untapped resources in terms of beneficial plants. Hopefully, it survives to benefit humanity. Your love of adventures around the world is truly inspiring. Fantastic!! thanks for checking out our blog posting. Whether having local adventures or those further afield, Bob and I love getting out and exploring.